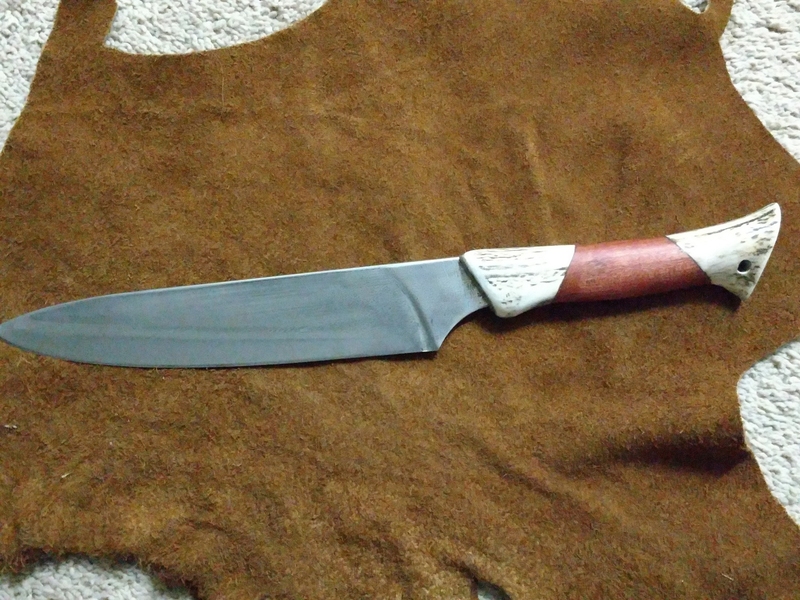 10″ Chef knife. 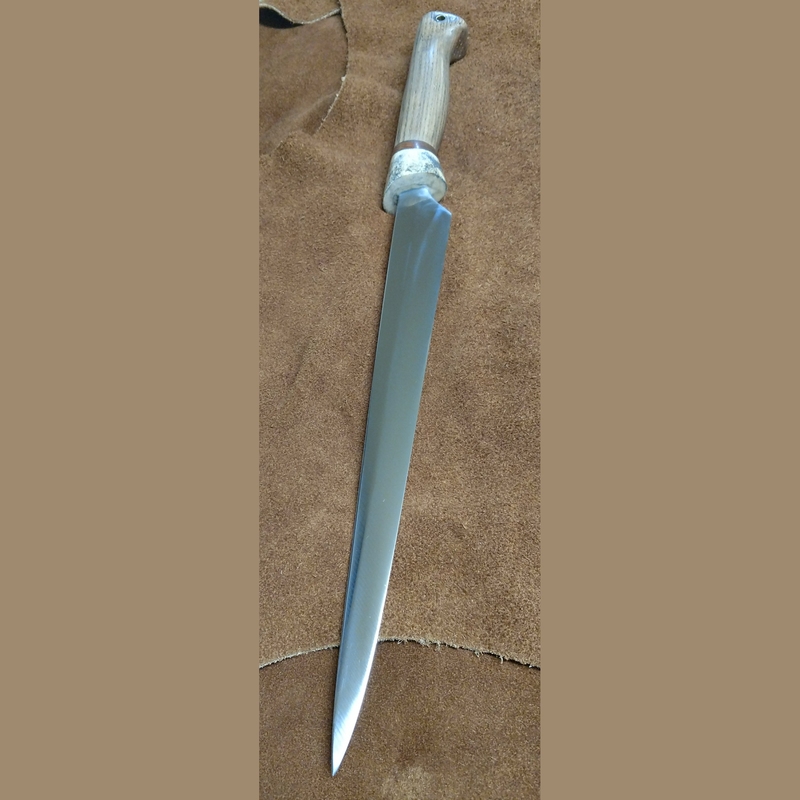 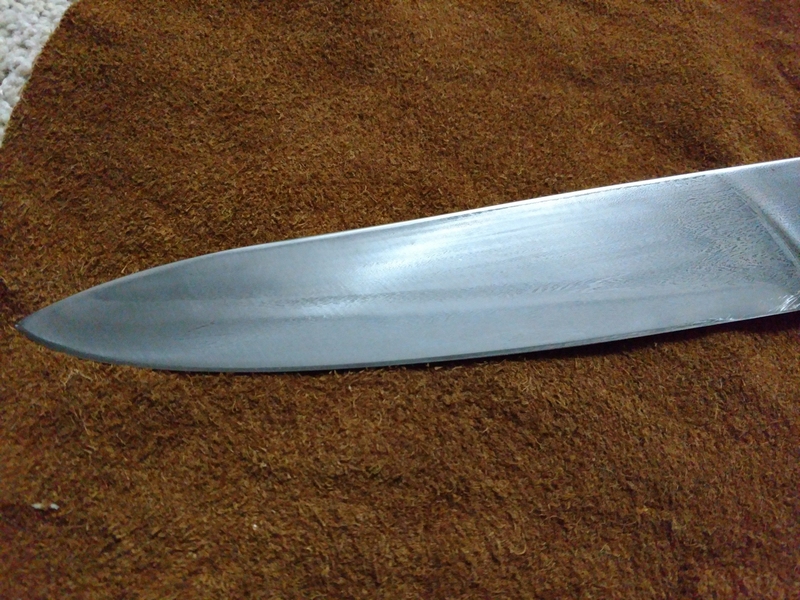 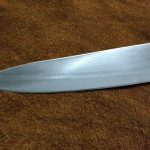 Custom order with 1095 HC steel blade with a differential heat treat. 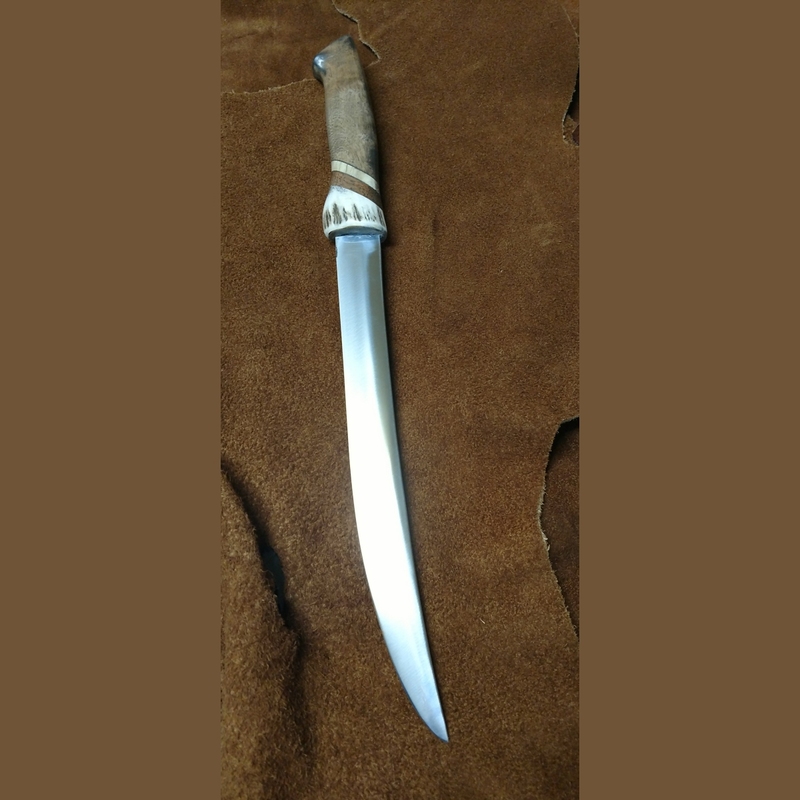 Elk antler and cherry wood grip.